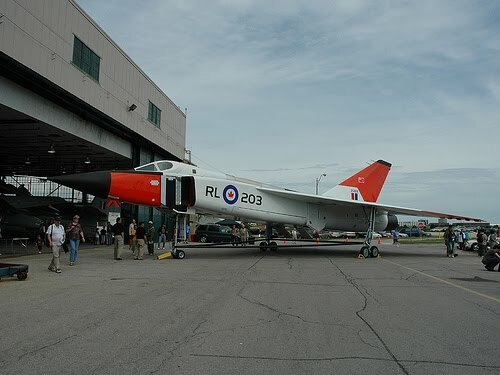 Recently a friend of mine poked a little fun at me for not knowing what the Avro Arrow was........Yup I had no idea. I'm also sort of guessing that there are many people like me who don't know. Well.....for those who are interested it's an aircraft designed by the Canadian company Avro and it was pretty fancy. It was designed and prototypes were built, in the 1950's and aircraft enthusiast's were pretty darn excited about it. Unfortunately for them our very conservative government at the time pulled the plug on the whole operation. For financial, and political reasons they ended up cancelling the whole project, many jobs were lost, and many aircraft fans hearts were broken. Knowing nothing about an aircraft is not surprising to me. I would never pretend that I was well read on the subject. Or well read on many other subjects...there are lots of things that don't hold my interest and I don't know about and that is okay. 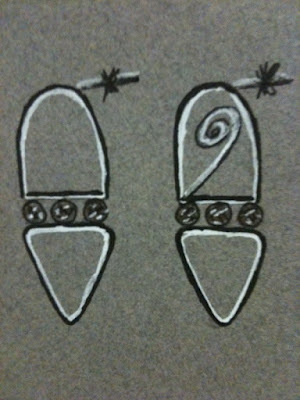 But I do know a thing or two about design and I like to think I know a little teensy bit about love. 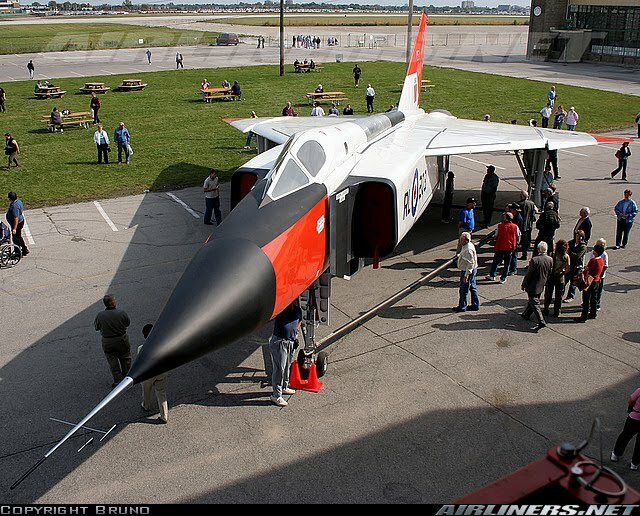 Which brings me back to the Avro Arrow. I will never know a lot about aviation, or war aircrafts, but I can look at the Arrow and see beautiful lines in in. 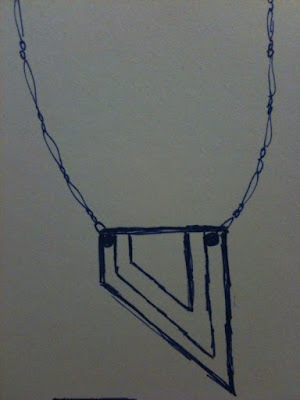 I see shapes that move, I see metal that flows, I see something different. I take what I know and I make the arrow work in my world. 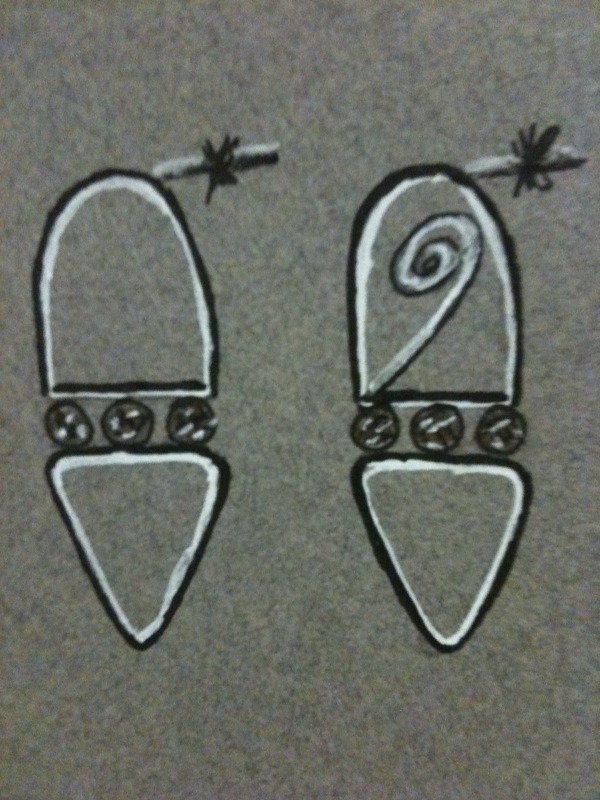 New Earring design inspired by the shapes of the windows. New necklace design inspired by the shape of the tail. So, although I will likely never be able to teach someone on the history of the Avro CF-105 Arrow, I will be able to teach someone how to spend a day playing. How to put away the "I shoulds" and dip your toes into your creativity. How to push your imagination, how to find that piece of your soul that makes you swirl, and how to feel incredibly alive. Okay, for a much more accurate history of the Avro CF-105 Arrow you can check out wikipedia here or just google it and zillion sites will come up. To read the very interesting article on Sustainable Love "The Happy Marriage is the Me Marriage" from the New York Times click Here.